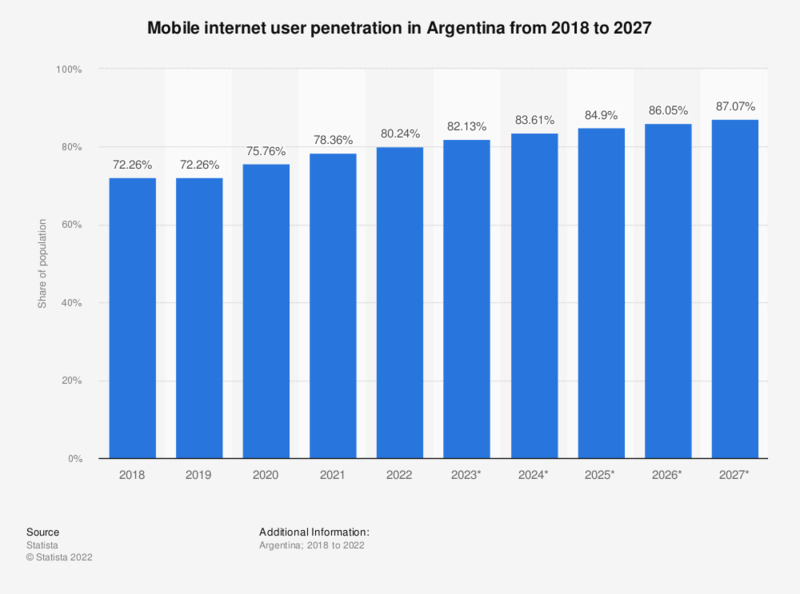 The statistic shows the mobile phone internet user penetration in Argentina from 2015 to 2022. In 2016, 54.11 percent of mobile phone users accessed the internet through their mobile device. This figure is projected to grow to 61.5 percent in 2022. Mobile phone users of any age who access the internet from mobile browser or an installed application at least once per month; excludes SMS, MMS and IM. Which of the following types of websites do you visit using your smartphone or tablet?